Michael Covel presents a monologue today about his recent trip to Mainland China (Beijing). 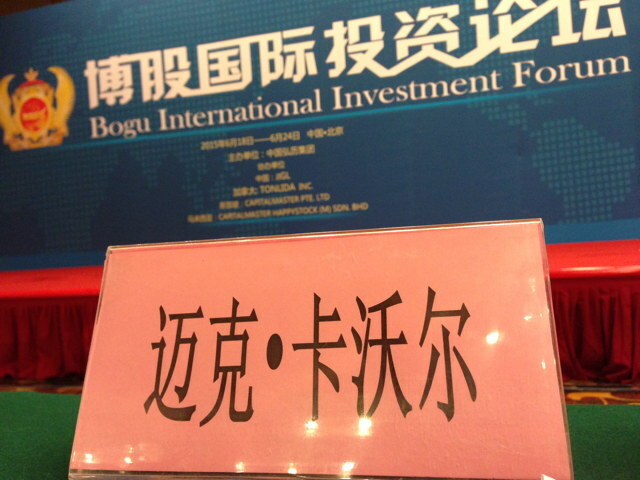 A trip that centered on his presentation to 1100 Chinese investors and traders. For those listeners that have not yet traveled to China–either for business or vacation–Covel offers a wide-ranging primer. There is no doubt that from a business perspective especially–the time for China is now. The population is massive, the energy is overwhelming and the desire is infectious. Regardless of your current understanding of China, your perception of their government or the many other misunderstandings so prevalent in the West–China has at its core a deep desire for business and success. The adrenaline is simply to be felt. And yes, they want to learn trend following too.